2 Pack - Omega Chaise Lounge, resin frame is Caffe and the synthetic fabric is Trama Coffee. These 4 position chairs are easily stacked and require no assembly. The resin is weather and UV protected while the fabric is fade resistant , pourus (allowing water to flow through and not pool), and if ever needed replaceable. The chair comes equiped with non slip feet and small wheels for easy portability. These chairs are commercial grade and used at multiple hotelsand resorts around the world. The dimensions are 33.5 inch x 28 inch x 67 inch. Comes with side table. 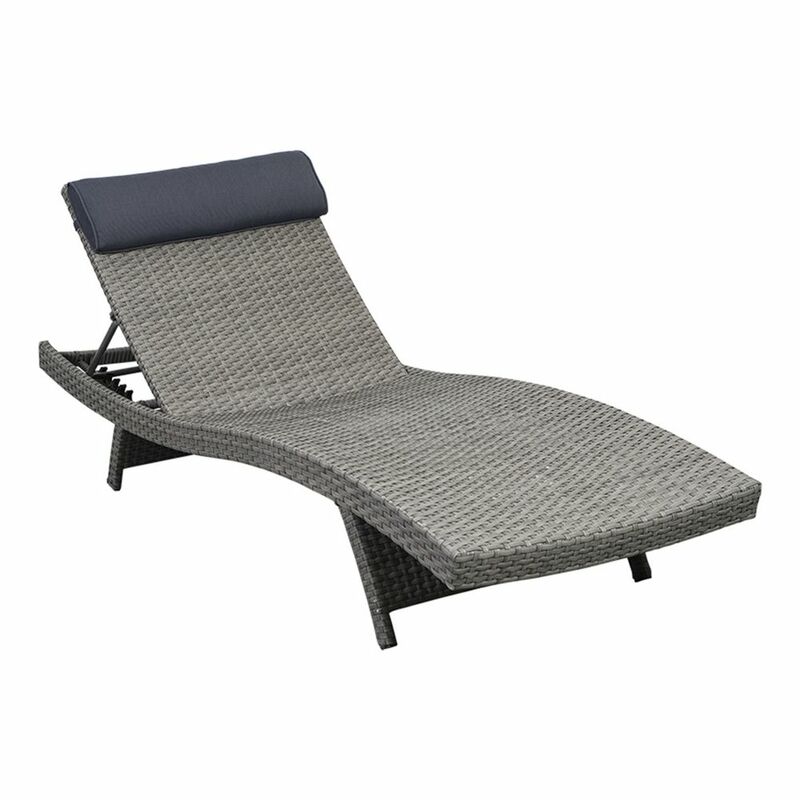 Florida Deluxe Gray All-Weather Wicker Patio Chaise Lounge with Dark Gray Cushion (2-Set) The Atlantic Collection is the perfect match for any home. All of these sets are hand crafted from high quality resin wicker with rust-free aluminum frames and are held together with galvanized steel hardware. With our great workmanship and strong materials, we ensure sturdiness and longevity for this elegant collection. We use Durawood which is an environmentally friendly material that is built to last a lifetime.